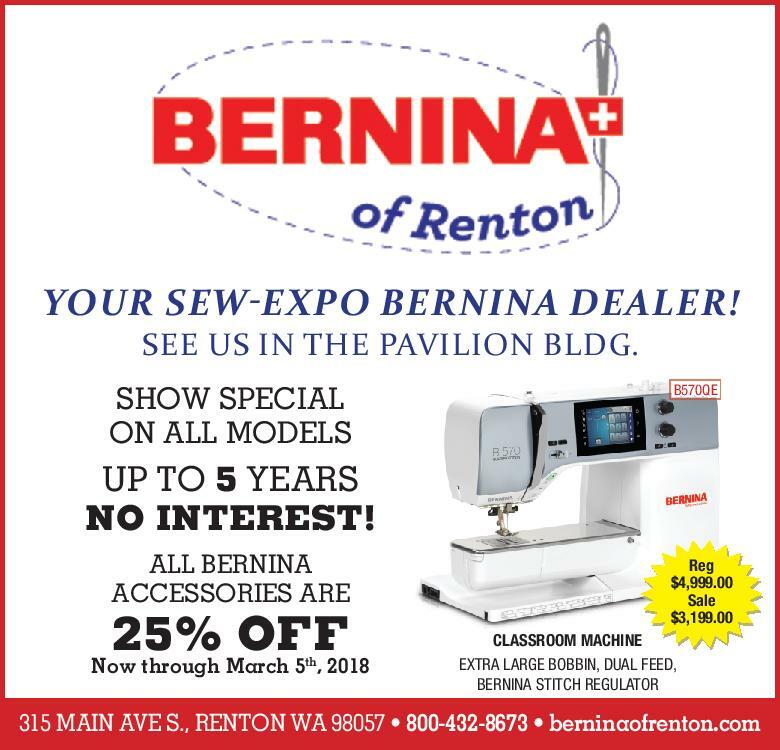 LOOK FOR OUR BERNINA BOOTH IN THE PAVILLION at the Puyallup Fairgrounds! 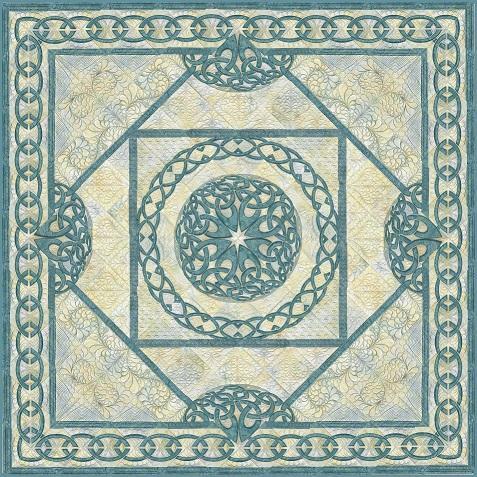 Come and let Patty show you how to create this beautiful Table Runner. Tuesday, March 13th from 10 until 2. Cost is $45. Bring you lunch and beverage! 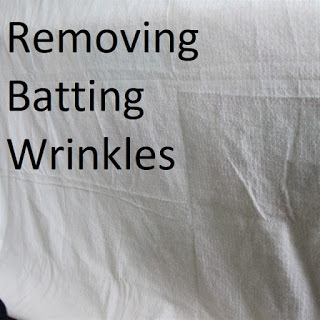 Is your batting wrinkled? 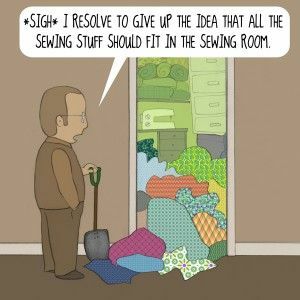 It can be frustrating when you are ready to layer your quilt with batting and backing and have those nasty wrinkles to contend with! 1) Toss you batting along with a damp hand towel for 5-10 minutes 2) Use your hair dryer on a warm setting to relax the wrinkles. 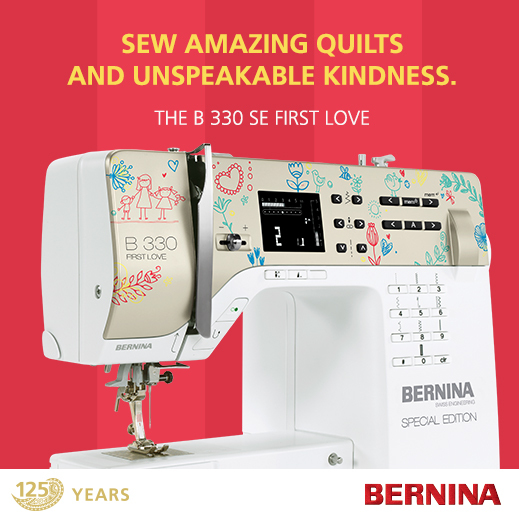 THIS IS ONE AMAZINGLY SWEET SEWING MACHINE. FIRST LOVE! AND WHAT IS NOT TO LOVE ABOUT THAT FUN NEW FACEPLATE?? 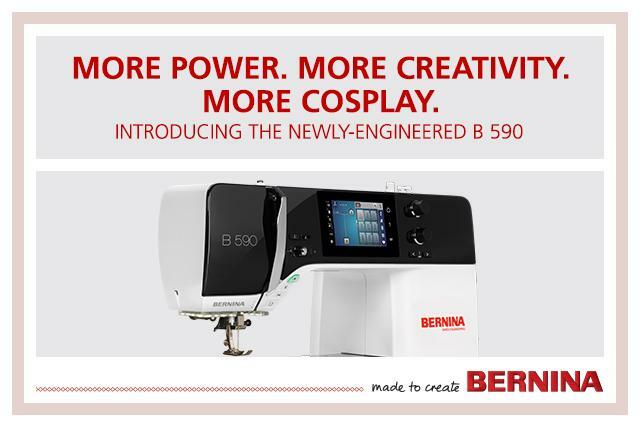 We have lots of these machines at Sew Expo so come buy one for you and the beginner sewer in your family! Special pricing ends on March 5th! 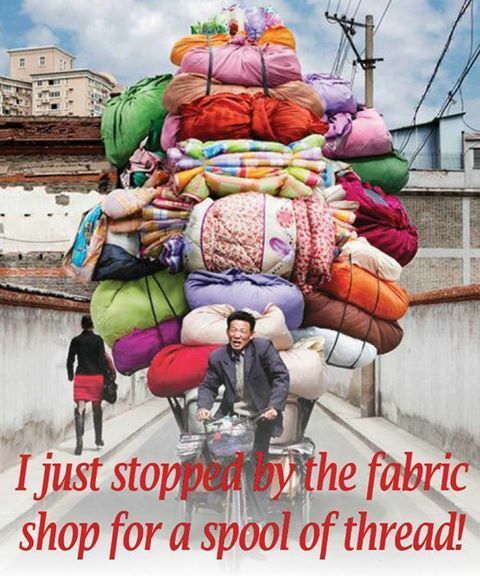 We thought it would be here in time for Sew Expo, but it isn't. 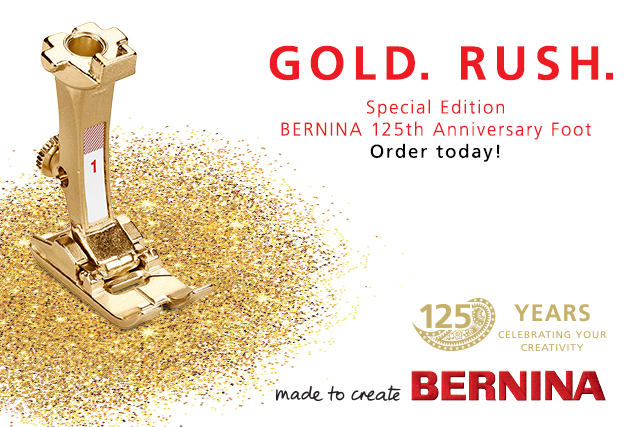 The special gold foot celebrating 125 years of business for Bernina is coming....SO, you will need to preorder yours. 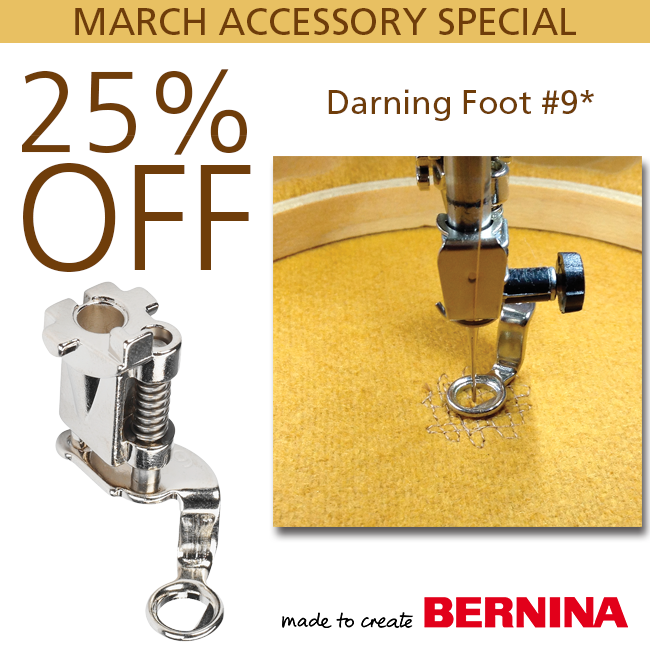 Come to Sew Expo to order or call the store at 425-255-8673 to reserve your GOLDEN FOOT!